Recently I made the trip down to Lockhart, Texas for the Dr. Oz Show. Lockhart is known for their amazingly tasty barbecue. I had never been there before so I was pretty excited to check out what real Texas BBQ is all about. 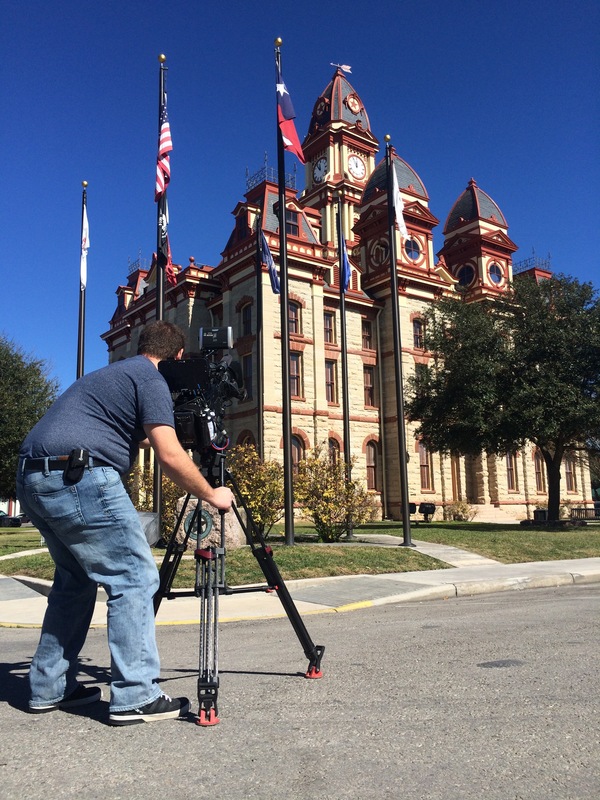 Shooting some footage of Lockhart’s courthouse. 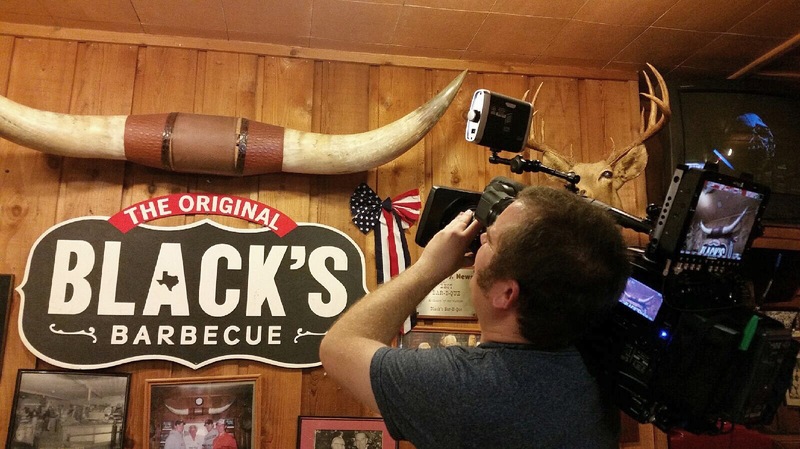 We spent two days shooting at some of the best known BBQ joints in Lockhart, TX. We stopped by Black’s BBQ, Smitty’s, and Kreuz Market. Sampling the barbecue at these places was like eating barbecue for the first time. As far as the shoot went, it was pretty standard. We shot interviews with owners and b-roll of the various meats being cooked. Some of the kitchens were dark so it was helpful to have a camera light attached to my F800. 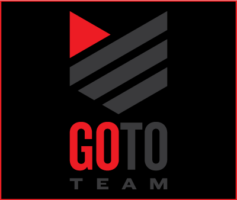 I shot on the Sony F800 XDCam. It’s been a while since I’ve shot with this camera. I forgot how good this camera is at capturing accurate skin tones and colors. I mounted an Odyssey 7Q to the back of my camera so that the producer could see what I was shooting. This worked very well and the producer appreciated it. 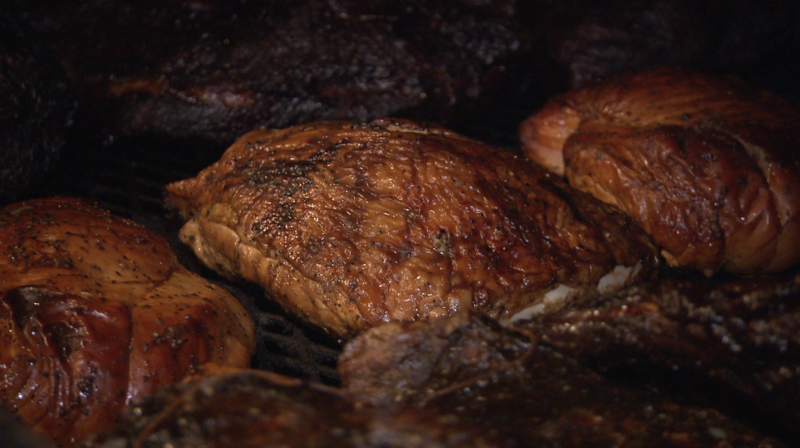 Two days of barbecue and b-roll was pretty awesome. I think the shoot went very smoothly. I’m definitely looking forward to the next Dr. Oz shoot, especially if it involves fine Texas BBQ. 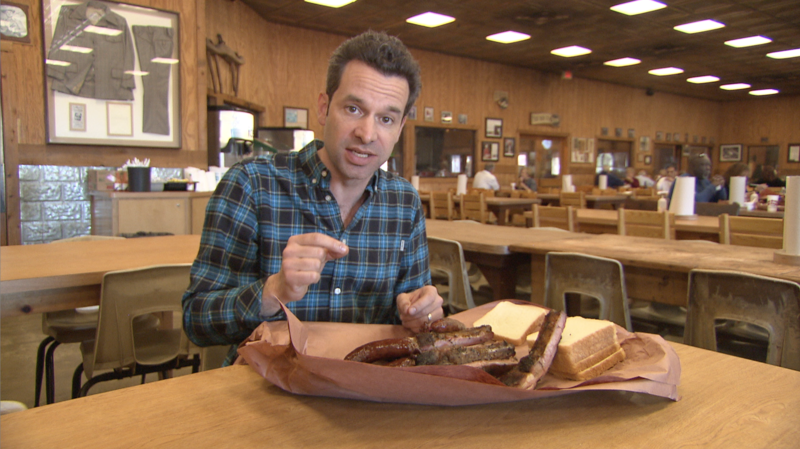 Mark Schatzker of the Dr. Oz Show enjoys some amazing BBQ.